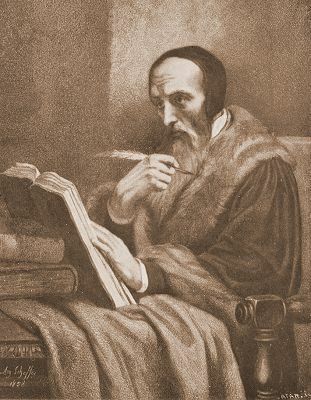 In honor of John Calvin, French theologian and pastor, who died on this day 1564. Prayer is a priceless gift! Humility I am learning is a gift from God. Considering the present world we live in where “I” is more important than “We” I thank God that HIs word lives in us and is conforming us to the image of Christ, that such words as “Love your neighbor, as you love yourself.” can be incorporated in our everyday prayers and supplications before God. I will share with you that there was a moment when I desired so much to be loved by my son whom I felt loved his other portion of family more than me, I cried out to the Lord in prayer and asked….Why doesn’t He love me? Why won’t he honor me as his mother? I heard clearly in spirit that because of what my son was choosing and what he was walking in, the “me” monster, he would only love me with a worldly love, and the Lord spoke to me “Until you love him for me first, until you love him for Christ, then I will fashion a love in him that is like the love I have for you.” So……with that said John Calvin’s quote is accurate and true. That though we may want something for ourselves in prayer out of self gain, self centeredness, or just to be acknowledged, the truth lies in humility of loving someone else to spiritual wellness above and beyond our wants and desires. This is the true image of Jesus who came to save the world. He laid himself down and gave himself up willingly, that we would be saved. Thanks for sharing, and thanks for posting for this adds value to our spiritual walk in Christ. God bless you and your family. From JD Blom. Thanks, JD!